An interesting walk down to the Mayflower Steps at Plymouth today. 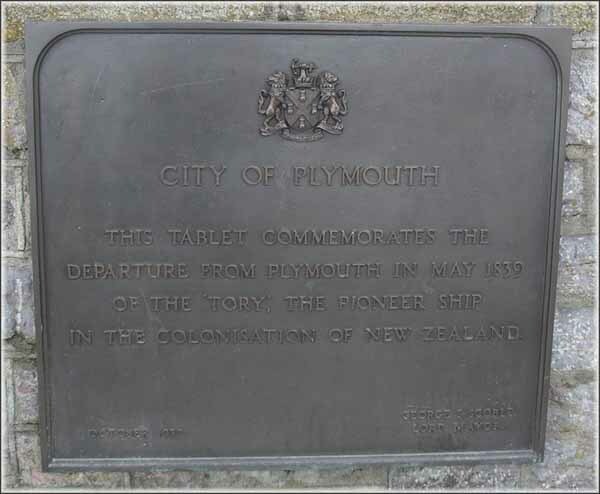 Whilst I knew the Mayflower had departed from Plymouth and vaguely recalled the steps being mentioned during my early education in New Zealand I couldn’t miss the opportunity to go and have a look at the location. However I had to find it first. 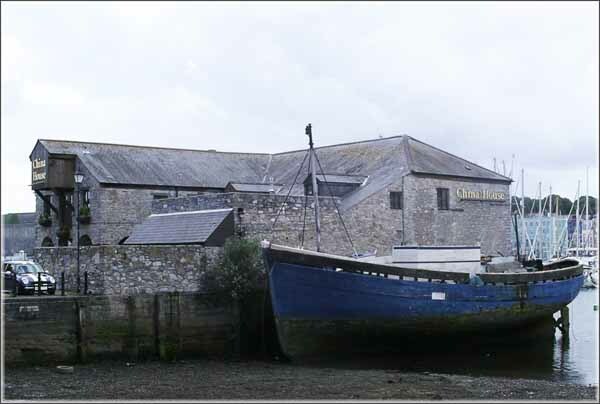 My wanderings down through Plymouth actually led me to the wrong harbour. 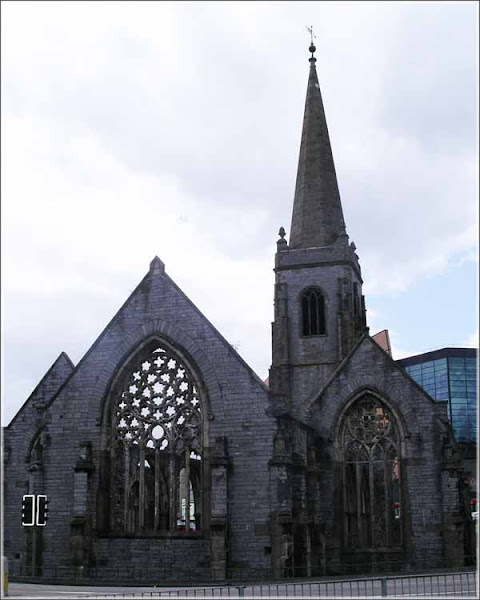 However it was a pleasant walk and along the way I passed Charles Cross Church which was bombed during WW2 and the ruins left as a memorial to all those who lost their lives during this period known as the “Plymouth Blitz”. The target of the bombers was the naval dockyard but most of the bombs fell on the city causing extensive civilian casualties. Unfortunately I continued walking in the wrong direction but eventually found the inner harbour; albeit the wrong side! This is what the wrong side looks like at low tide. No! I hadn’t walked as far as China. It was just the name of the restaurant. Still, the walk did me good and I eventually made my way around to the correct side of the harbour. This is a photo of “Pilgrims Point”. 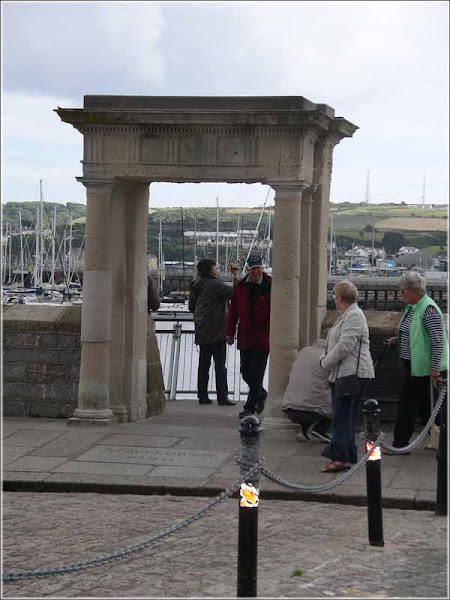 I believe the portico was erected in 1934 and there is some doubt about the steps beyond them being original. So it would appear I need to go back and look for the stone that marks the spot! 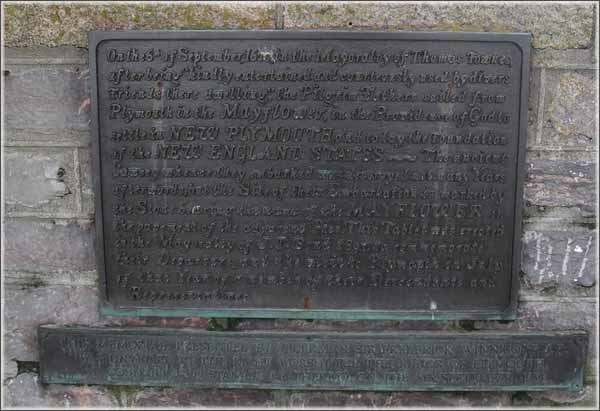 The second plaque has a link with New Zealand and that rather surprised me! The Tory arrived in Wellington NZ in 1840. It is commemorated in NZ with the naming of Tory Channel which is one of the drowned valleys that form the Marlborough Sounds at the northern tip of the South Island. 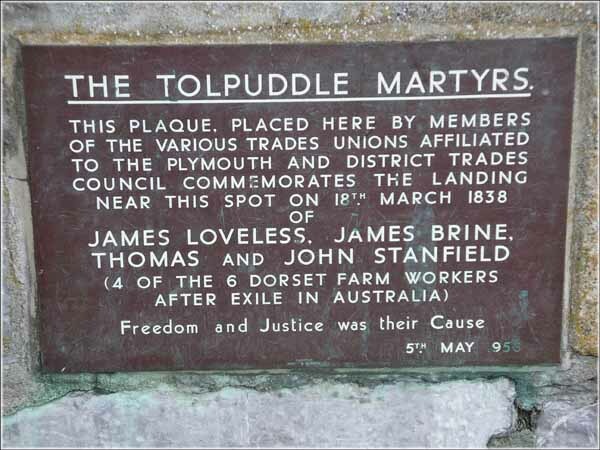 Finally there was a plaque commemorating the return to Plymouth of four of the six Tolpuddle Martyrs after being transported to Australia for their part in establishing and leading a trade union in 1834. Now this is a piece of history I do recall from my early school education in New Zealand so many years ago. What I hadn’t know was that after their return to England the majority of them subsequently migrated to Canada.